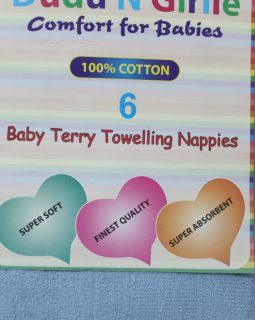 12 Pack Cotton Terry Towelling Nappy 60 x 60 cm -6 Blue & 6 Pink. 12 Pack Cotton Terry Towelling Nappy 60 x 60 cm -6 White & 6 Blue. 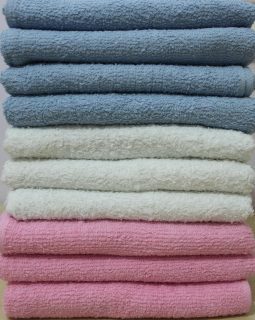 12 Pack Cotton Terry Towelling Nappy 60 x 60 cm -6 White & 6 Pink. 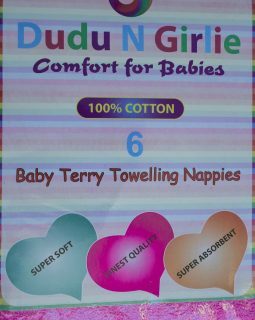 6 Pack Cotton Terry Towelling Nappy 60 x 60 cm -3 Pink & 3 Blue. 6 Pack Cotton Terry Towelling Nappy 60 x 60 cm -3 White & 3 Blue. 6 Pack Cotton Terry Towelling Nappy 60 x 60 cm -3 White & 3 Pink. We are a family run business that aims to provide customers with excellent quality products at highly competitive prices; through a safe, hassle free, reliable, efficient and value for money service.